It is never too late to start dancing – and that is why CBD offers several adult dance and fitness classes from the beginner to the professional. Whatever your skill level, we are sure to have the perfect class for you! We are Dallas’ hub for dance by offering the best variety and quantity of Adult Dance Classes! All of our instructors have extensive professional experience and are seasoned teachers! We welcome you to our school, and congratulate you for making the “leap” to attending classes whether you are a beginner or professional dancer. Our Bas ics Beginner 1 and 2 Series are each 8 weeks long, should be taken sequentially, and are offered for the total beginner dancer. This class is offered for ballet, modern, tap and jazz. 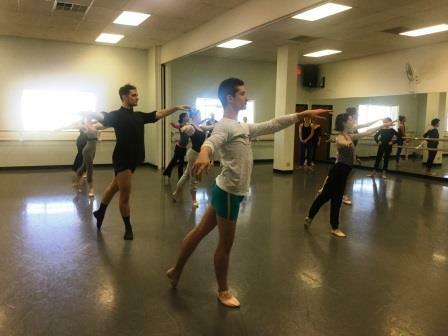 Ballet is a pre-requisite to attend the modern and jazz Basics. We also offer Beginner through Advanced levels. Students can progress at their own speed in these classes. Some students may advance faster than others to different levels, however all of these adult classes are open and on-going, meaning that you can drop-in at any time! Our fitness classes are open to all levels as well, and you do not have to be a dancer to attend! We offer competitive rates. You can pay by the class, purchase class packages, or a monthly unlimited pass. Please click on the specified classes to read more in-depth class descriptions.